We noticed in Picasa a little push pin icon on our Samsung Epic 4G pictures and then we realized whoa, the phone-camera can do GPS tagging. So we poked around until we found the place to enable the GPS tagging: opened the camera, clicked on the gear, then on the wrench then on GPS, to turn it on. Okay so then we took some pictures today inside Carnegie Hall and when we went to view them in the Gallery app on the phone and clicked on Menu > More > Show on Map, lo and behold there was the map showing the Carnegie Hall location for each picture. And yes, the camera quality is quite good - the colors are vivid. Oh boy! We have GPS tagging on our phone photos. See a review of the phone camera here. If you are married to a Berenice, then you must go to see any opera about Berenice, especially if you receive the tickets as a gift. So we did go to see the U.S. Premiere of Alberic Magnard's "Berenice" conducted by Leon Botstein and staged by the American Symphony Orchestra at Carnegie Hall today. According to Magnard's plot (he wrote the libretto), after the Romans had conquered ancient Israel, Berenice was brought to Rome, where she became the lover of Titus, the Roman general (and son of Emperor Vespasian). They had a hot five year affair, but then Vespasian fell ill and the moment of truth arrived. Would Titus keep his promise to marry Berenice and make her Empress of Rome when he took office upon his father's death, or would he bow to the demands of patriotic Romans who could not stand a foreigner in the Caesar's palace, and require her to return to her homeland to demonstrate his loyalty to Rome above his personal emotional interests? That's the entire plot of this three-act opera that contains about 2-1/2 hours of music. During the first act they receive news of Vespasian's illness, during the second act Titus agonizes about the terrible choice and gives the bad news to Berenice, and in the third she leaves after a final confrontation with Titus. Leonard liked the music, as did we, though we found it put us to sleep more than once. We found Botstein's conducting lacking energy and any pretense of drama. Unstaged opera usually seems like a rehearsal and Botstein's effort did little to counter that feeling. The one scene in which the citizens of Rome call for Berenice to return to Judea smacks of antiSemitism, but does not reach the threshold of actual bigoted singing. We had a hard time after the show applauding the singer who played Titus. After all he destroyed the Temple, now you want we should applaud him? Hard to fault the unenthusiastic conducting because it is amazing that Botstein can manage at all to be at once a college president and conduct an orchestra. Blogger Leonard gushed over the opera. We thought is was an okay plus pleasant afternoon on 57th Street. We haven't been there since 1983 (see above). Reports are that the Egypt Museum is in danger due to the civil unrest in Cairo. It's nefarious but logical that Egypt would shut down the Internet during its unrest. CNN reported what happened and another source, Ars Technica, reported on how easy it was for Egypt to accomplish the shutdown and speculated about whether it could happen here in the US. ABC reported that 400 rabbis took an ad out to demand that people stop using Nazi comparisons. This is not a new phenomenon. Years ago Amos Oz in the beginning of his superb book, In the Land of Israel (1983, 1993) decried this rhetorical trend among the Jews in Israel of calling people you don't like Nazis. The word is not sacred. It's not worth wasting money on a full page ad. In honor of the UN International Holocaust Remembrance Day tomorrow, we’re partnering with Yad Vashem, the Jerusalem-based center for remembering the Holocaust's victims and survivors, to bring their collections of photographs and documents to the web. On a trip to Jerusalem three years ago, Jonathan Rosenberg visited Yad Vashem. Struck by the museum's vast historical record housed within the physical building, he hoped Google could do something powerful to showcase this information. Inspired by the challenge, a few of us, in our “20% time,” started working with Yad Vashem and eventually grew our effort into a full project, introducing a YouTube channel in 2008 and now this collections site. Within the archive you will find more than 130,000 images in full resolution. You can search for them via a custom search engine on Yad Vashem’s collections site. And by using experimental optical character recognition (OCR), we’ve transcribed the text on many images, making them even more discoverable on the web. This means that if you search for the name of a family member who was in the Holocaust, you might find a link to an image on the Yad Vashem site. To experience the new archive features yourself, try searching for the term [rena weiser], the name of a Jewish refugee. You’ll find a link to a visa issued to her by the Consulate of Chile in France. OCR technology made this picture discoverable to those searching for her. Yad Vashem encourages you to add personal stories about images that have meaning for you in the “share your thoughts” section below each item. Doron Avni, a fellow Googler, has already added a story. He found a photograph of his grandfather taken immediately after his release from a Nazi prison. His grandfather had vowed that if he should survive, he would immediately have his picture taken to preserve the memory of his experience in the Holocaust. He stitched the photo into his coat, an act that later saved his life. After hiding in the forest for a year, Russian soldiers mistook him for a German enemy, but released him once they saw this picture. TEANECK – The town will have its first boathouse and floating dock, after the Township Council approved a proposal to construct them at Andreas Park on the banks of the Hackensack River. The Teaneck Rowing Club, a nonprofit group that provides equipment for the high school crew team, will build the 2,275-square-foot boathouse as a storage facility for its rowing shells, replacing the park’s current tennis court, and install the dock. 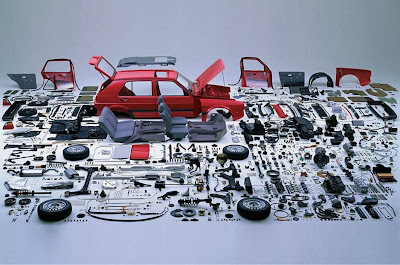 Take a close look at your car. Now write a book mainly about the assembly line that produced that car. You may say a few random and simple things about the car itself. But mostly in your book you must speculate about the people who put it together, and guess how it came into being. That's similar to what some scholars of the Talmud do with that composite document. It's a wonderful way to free associate a wealth of learning, to wax creative without the possibility that anyone could prove you wrong. You spell out a hypothetical theory about an imaginary assembly line that spanned centuries and produced the Talmud. Most of all, secular Israeli authorities welcome what you do. There's nothing remotely political or threatening about a Talmud disassembled in pieces on the factory floor of history. And the bearded scholars in the Yeshivas will wonder about the value of that kind of "academic Talmud study" which leaves the compilation in a junkyard heap of nuts and bolts. Yehuda Mirsky celebrates the work of academic Talmud scholar Shamma Friedman in his article, Talmud: The Back Story. 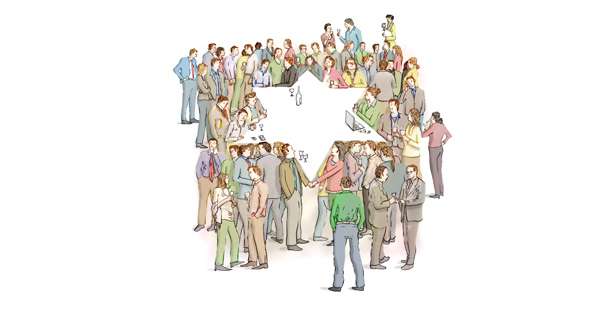 After glowing accolades, he finally in apparent if unrealized exasperation asks about all this busy work of taking apart the engine of the Talmud, "...can we somehow put the pieces back together into a coherent and compelling story? And will that story reflect not only the work of the rabbinic interpreters but also the original texts and traditions, by now lost to us, that they were trying, through their editing, to maintain?" We aren't clear on the substance of Mirsky's questions, but we do share his ultimate sense of frustration. We usually think of road rage as a scourge of the summer months. Not so reports the Star Tribune. Minneapolis police on Wednesday were investigating a driver's complaint that when he asked another motorist to move his car, the man pulled a gun on him and flew into a rage. The complainant, Steve Haughton, 41, of Savage, said in an interview that he was driving on 22nd Street E. near Peavey Field in s outh Minneapolis on Tuesday when another vehicle cut him off and blocked his way. Haughton said he lowered his window and asked the man to move his car. He said the man pulled a gun, threatened him with it and cursed at him loudly. "He just started losing his mind," Haughton said. Haughton, who never left his pickup, fled and called police, giving them the other vehicle's license plate number. No arrests had been made Wednesday, but the investigation was continuing, said police spokesman Sgt. Steve McCarty. There is a secretive group called Reboot, which the Times tells us, "since 2002 has conducted an annual conference for young, affluent Jews to discuss their ethnic and religious identity, in between spa treatments and walks among the ponderosa pines of the Wasatch Mountains." We know little about this conference because we are not in on the secret. Here is how the Times ends the article. As prayers were set to begin, an elderly Jewish woman entered, her dress shimmering in the candlelight, her blond bouffant framing the accentuated makeup around her eyes. It was Mr. Lau-Lavie dressed in drag as an incarnation of Esther, the biblical Queen of Persia. Mr. Pollack watched in awe. “It was definitely comic,” he said. Indeed Mr. Lau-Lavie was a hit with many that year. But Ms. Behrman declares herself utterly transformed. “It’s ridiculous how Jew-y I’ve become,” she said. The above incident captured on video in April in Hawaii has led to controversy and now a proposed cessation of all religious invocations at the state Senate. 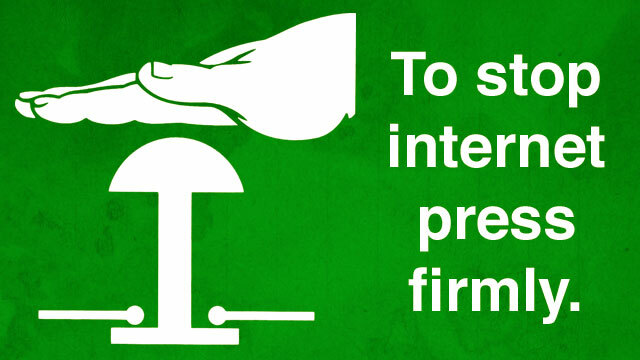 We believe this is a sane and sound proposal. Right wing radical demagogue Michael Medved calls this decision by state legislators "insane". HONOLULU (AP) — Hawaii Senate leaders are recommending that the chamber end religious invocations before floor sessions. The change is meant to respect each individual's religious beliefs, Senate President Shan Tsutsui, D-Wailuku-Kahului, said in Wednesday's editions of The Honolulu Star-Advertiser. "We respect everybody's different levels of faith and the different religions that they support," Tsutsui said. "We're not making any type of statement, but rather we're respecting each individual's religious beliefs." The new policy is part of a proposed Senate rules package that will be considered before this year's legislative session begins Jan. 19. The move away from religious invocations came after a complaint from the American Civil Liberties Union of Hawaii that the invocations often included "decidedly Christian prayers — with reference to Jesus Christ." We have two political parties in the country: the Democrats and the Demagogues. The official Tea Party line is that Giffords was "asking for it" and that the Tea Party should now use the shooting to raise money. Yes, that is what is reported. One tea party leader says that Rep. Gabrielle Giffords (D-AZ) has herself to blame for getting shot in the head Saturday. The Arizona congresswoman shouldn't have attended an event "in full view of the public" if she had security concerns, according to Tucson Tea Party co-founder Trent Humphries. 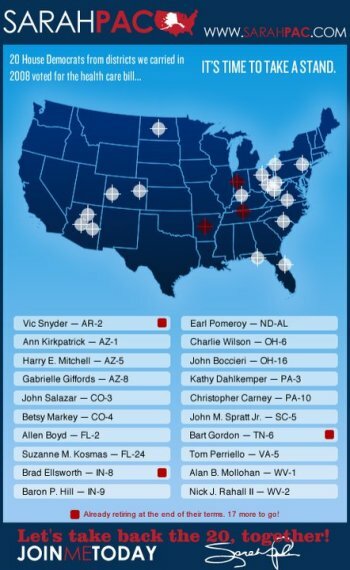 Giffords warned MSNBC's Chuck Todd last year that there would be "consequences" to violent rhetoric and imagery after Fox News' Sarah Palin released a graphic which placed crosshairs over the congresswoman's district. "But the thing is that the way that [Palin] has it depicted has the crosshairs of a gunsight over our district," Giffords said. "And when people do that, they’ve gotta realize there’s consequences to that action." But Humphries thinks Giffords was just speaking out against Palin for political gain. "It's political gamesmanship," he told the Guardian. "The real case is that she [Giffords] had no security whatsoever at this event. So if she lived under a constant fear of being targeted, if she lived under this constant fear of this rhetoric and hatred that was seething, why would she attend an event in full view of the public with no security whatsoever?" "For all the stuff they accuse [Palin] of, that gun poster has not done a tenth of the damage to the political discourse as what we're hearing right now." "There are people who are genuinely confused, scared, and I understand it. But there are also people who are deliberately manipulating this event and tragedy for political ends," Humpries added. And he may be right. Another tea party group in California has been using the tragedy to raise money. In an e-mail to supporters this week, the Tea Party Express asked for donations. "Instead of prayers for the victims and their families, the Left was consumed with using this massacre to score political points by blaming the tea party movement, Gov. Sarah Palin and now Rush Limbaugh," the e-mail said. "That's why we've asked you for your support. Let's show the Left that instead of us being silenced, that there awful attacks on us will only backfire and that the tea party movement will be stronger than ever!" "Please, make a contribution online right now to the Tea Party Express," the letter concluded. Is Sarah Palin the Provoker of Violence or the Victim of a Blood Libel? Here is what Palin says, her own video from her home studio in Alaska. She won't speak to the press. Here is the crosshairs graphic Palin circulated including Gifford's district. Crosshairs are only used to depict targets, they unambiguously symbolize aiming with a gun. We report, you decide. Is Sarah Palin the victim of a blood libel? We feel that the profound misuse of this concept by Palin to further her political aims is her most disgraceful act to date. Sarah Palin accuses critics of "blood libel"
(Reuters) - Prominent Republican Sarah Palin on Wednesday accused critics of "blood libel" by blaming her rhetoric for contributing to the shooting rampage in Tucson that killed six and wounded 14, including Democratic Representative Gabrielle Giffords. "Acts of monstrous criminality stand on their own. They begin and end with the criminals who commit them," the conservative Tea Party favorite and former Alaska governor said in her first major response to critics. The USA Today Faith and Reason blog discusses antiSemitism and the Gifford shooting - with a link to Tzvee's Talmudic Blog (link for "Jewish Women", third indented paragraph, is to this blog...). We read the story early today but missed the link. We are praying for her speedy and complete recovery. Hat tip to Joseph for catching that link. The company that makes the Hava TV place shifter has discontinued that model and come our with the Vulkano, an HD upgrade with several models. We were bummed out to learn that there would be no support or update for the Hava... until we happily discovered by chance that you can download the free app for the Vulkano for an iPad, iPod or Android device... and you can log in and it will pick up your Hava feed and display it on your device. See more about the iPad app and android app and other players here. Didn't get what you wanted for the holidays? Try this neat device. Mandatory Joke. No, they do not have a Hava Nagilah model. Is Rep. Gabrielle Giffords Jewish? Yes Rep. Gabrielle Giffords (D-Ariz.) is a Jew. She was shot in the head at a political event in Tucson on Jan. 8, 2011. Giffords was elected to Congress in the Democratic sweep in 2006. The first Jewish woman elected to Congress from the state, she made her Jewish identity part of her campaign. Giffords, 40, was raised "mixed" by a Christian Scientist mother and Jewish father, but said that after a visit to Israel in 2001, she had decided she was Jewish only. She attended services at a local Reform synagogue. In one of her last photos, she posed with the new U.S. House of Representatives speaker, Rep. John Boehner (R-Ohio) at her swearing in; her hand is on the "Five Books of Moses." We thank Jim East of the Grebelius Redivivus Blog for ranking us 9th in The biblioblog rankings for December: The Top 20. We cannot argue the ranking, since the blog tells us, "The Urim and Thummim have spoken. Anathema on those who deny these holy decreed biblioblog rankings. Amen." This book is a thoroughly rabbinic treat. It is written by Avishai David, a prominent rabbi who heads a Yeshiva in Israel. It is about the lectures on the weekly torah readings of Rav Joseph B. Soloveitchik, a great gadol of the past generation whose charismatic Torah teachings mesmerized his followers. Rav Soloveitchik was also our teacher when we studied at Yeshiva University. The Rav draws liberally on the teachings of the ancient rabbis and advances his own insights into the biblical texts. And the final rabbinic ingredient to this rabbinic feast of a book is the source of publication, the rabbinical authorities at the Orthodox Union who published the book in conjunction with Yeshiva Torat Shraga and the exceptionally gifted Urim Publications of Jerusalem and New York. The Rav was a man of great dignity and propriety and would have been proud to see the professional manner in which his teachings have been brought together in this volume. It is a handsomely set and bound book, tightly edited and written in impeccable English, with the right level of style for the content that it conveys. The book brilliantly represents the Rav's Torah as he presented it. This means that it will be a great gift to those of his followers who thirst to hear and read his concepts as they were given over. And this is the pièce de résistance of the rabbinic feast encompassed in this volume. It will serve future generations as the template or palette for rabbis who wish to use the Rav's content as the springboard from which to develop their own commentaries and as the raw materials for those who elect to build their own structures out of the basic original ideas of Rav Soloveitchik as represented in this book. We commend the book highly to individuals and to libraries. 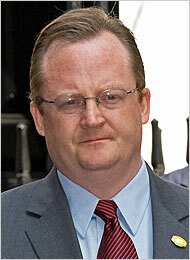 No, Barack Obama's former White House Press Secretary Robert Gibbs is not a Jew. Gibbs was born in Auburn, Alabama on March 29, 1971. He is married to Mary Catherine Gibbs, an attorney. 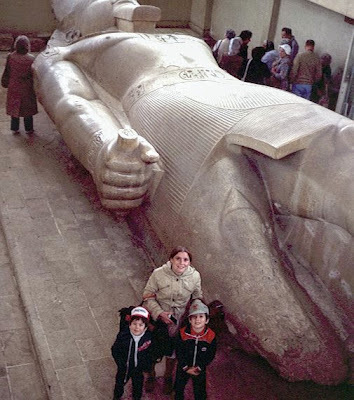 They live in Alexandria, Virginia with their six-year-old son. Gibbs' parents now live in Apex, North Carolina, where his mother Nancy is acquisitions director for the libraries at Duke University. Of note, Gibbs went on a tirade in 2009 against Sean Hannity, the Fox News host, on his show to prove the vacuity of charges of guilt by association that were being leveled at Barack Obama. To make his point, Gibbs forcefully charged that Hannity was an anti-Semite because he had previously had on an anti-Semitic guest. 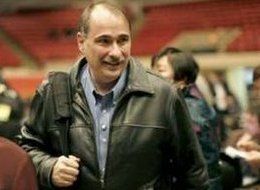 Yes, David Axelrod who has resigned as President Barack Obama’s Senior Adviser in the White House, is a Jew. He grew up in a middle-class Jewish household in New York's Stuyvesant Town neighborhood. Axelrod showed a passion for politics at age 13 when he sold campaign buttons for Robert F. Kennedy. Axelrod attended Stuyvesant High School in Manhattan and the University of Chicago. Former White House Chief of Staff Rahm Emanuel, who is also Jewish, is one of Axelrod’s closest friends. Axelrod signed the ketubah (Jewish marriage contract) at Emanuel’s wedding, an honor usually reserved for a close personal friend (TNR: The Plank). Israeli PM Bibi Netanyahu loves Jonathan Pollard and has written a letter asking for his release from federal prison in the United States. This just made us want to compare the historic Dreyfus Affair with its contrasting opposite, the modern Pollard Affair. Let's see. The two start out similar. Both men were Jews who were accused of spying against their own countries. Dreyfus was sentenced in 1894 to life imprisonment for allegedly having communicated French military secrets to the German Embassy in Paris, and was sent to the penal colony at Devil's Island and placed in solitary confinement. Pollard was sentenced in 1987 to life imprisonment for allegedly having communicated American military secrets to the Israelis, and was sent to the federal prison and placed in solitary confinement. Two years later evidence implicated someone else as the culprit in the French affair. 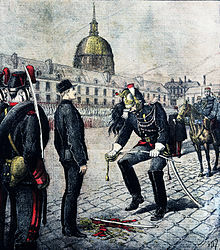 But Dreyfus was further accused by the French Army with fabricated evidence. Pollard admitted his crimes. Nobody ever claims that he was framed. In his famed J'accuse letter, the writer Emile Zola exposed the framing of Dreyfus and the cover up of exculpatory evidence . The fallout from this affair divided French society. The confessed spy Pollard tried to get Wolf Blitzer to interview him in prison. This infuriated the US authorities. Dreyfus was fully exonerated and reinstated in the Army where he served with honor. Pollard wants to be freed because he says he is really sorry and he has been in a nasty jail a really long time. In the end the Dreyfus affair exposed the antiSemitism of European society and stimulated the Zionism of Theodor Herzl, which in turn led to the ultimate founding of the State of Israel. In the end the Pollard affair is eroding the political credibility of all those Zionists who express support for him, in particular Bibi Netanyahu. We think it is seriously damaging the Zionist cause. Just what motivates this present self-defeating behavior? We simply have no clue. According to the Times, Aharon Friedman refuses to divorce his wife. Actually they are divorced according to civil law. Friedman refuses to give his wife a religious divorce. We've for a long while thought that the refusal of the rabbis to correct this inequity of Jewish law was especially nasty. A Jewish man can divorce his wife by giving her a get. But the wife has no power to initiate a Jewish divorce. While the law of divorce may be based at some ultra general level on Torah law revealed to Moses at Sinai, we don't think Moses would mind if rabbis allowed some additional leeway to American women in the 21st century. Seriously. This should have been a good New Year’s for Aharon Friedman, a 34-year-old tax counsel for the Republicans on the House Ways and Means Committee. He spent time with his 3-year-old daughter, and could have been thinking about the influence he will have starting Wednesday, when his boss, Representative Dave Camp of Michigan, becomes chairman of the powerful tax-writing committee. Instead, Mr. Friedman, an Orthodox Jew, finds himself scrutinized in the Jewish press, condemned by important rabbis, and attacked in a YouTube video showing about 200 people protesting outside his Silver Spring, Md., apartment on Dec. 19. They were angered by Mr. Friedman’s refusal to give his wife, Tamar Epstein, 27, a Jewish decree of divorce, known as a get. The Friedman case has become emblematic of a torturous issue in which only a husband can “give” a get. While Jewish communities have historically pressured obstinate husbands to give gets, this was a very rare case of seeking to shame the husband in the secular world. Was the Lubavitcher Rebbe the Messiah? If you look at the top of the page of this article on the official Chabad Lubavitch website, it has a banner that says, "Long live our master, our teacher, our rabbi, the messiah king, forever!" But if you look down below at the article on the page, published today, you find the question and answer on the topic of, "Why hasn't Moshiach come yet?" Confused? You should be. He was, he wasn't. The Forward fails to tell us what in the curriculum the Haredim find dangerous or contrary to Torah. Must be that they think everyone knows that already. We don't. Tel Aviv — A tug-of-war is taking place over the government’s attempt to impose a core curriculum in ultra-Orthodox elementary and high schools, and it’s not just about education. It cuts to the heart of a bitter conflict within Israeli society on the issue of authority. Israel’s Education Ministry has launched a zero-tolerance policy aimed at Haredi schools that refuse to teach the ministry’s prescribed secular studies curriculum. Is the term "morphed" helpful here? We think not. It seems like the Haredim decided to respond to all questions with rhetoric rather than substance. And the Forward is happy to grab onto the rhetorical outbursts and use them to make the Haredim look like uncooperative administrators, which is what they are. But we want to know what specifics of the curriculum are contrary to what these rabbis believe are the principles that they received on Mount Sinai? We'd like it if the Forward would leave out the rhetoric that they are being fed, and ask some substantive questions. It's time to do that. Samuel Freedman in "On Religion" profiles Tobi Kahn's meaningful end-of-life Art. Kahn is a well-known artist and an Orthodox Jew from the German Jewish community in Washington Heights. We see some of Mr. Kahn's evocative sculptures nearly every day on the grounds of the JCC in Tenafly, New Jersey. This end-of-life artwork also expresses Mr. Kahn’s religious sensibilities, both his lifelong observance of Orthodox Judaism and his commitment to outreach across denominational lines. 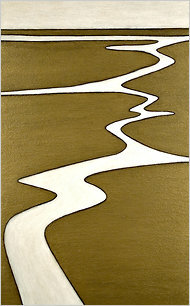 While his selection for a group show at the Guggenheim in 1985 established his reputation, his work has also been exhibited at such sites as the Museum of Biblical Art in New York and the Museum of Contemporary Religious Art in St. Louis. Hat tip to Bernice for bringing this article to our attention.